While serving in Iraq, veteran Leroy Kervin suffered a traumatic brain injury. Frustrated by the simplest daily routines, and unable to form new memories, he eventually attempts suicide. Lying in a coma, he retreats deep inside the memories locked in his mind. Freddie McCall works two jobs and still can't make ends meet. He's lost his wife and kids, and the house is next. Medical bills have buried him in debt, a situation that propels him to consider a lucrative—and dangerous—proposition. Pauline Hawkins is a nurse at the local hospital. Though she attends to others' needs with practical yet firm kindness, including her mentally ill elderly father, she remains emotionally removed. But a new patient, a young runaway, touches something deep and unexpected inside her. The lives of these characters intersect as they look for meaning in desperate times. 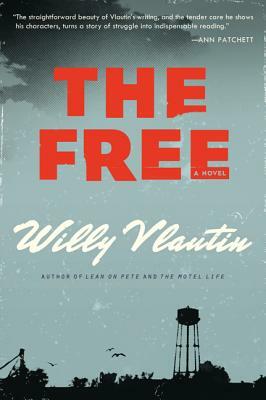 Heartbreaking and hopeful, The Free is a testament to the resiliency of the human heart. The Free also includes a P.S. Section (additional material in the back of the book) with interviews, insights, and more about the author. Vlautin is the founder of the alternative country band Richmond Fontaine and his debut novel, The Motel Life, has been made into a film starring Emile Hirsch, Stephen Dorff, Dakota Fanning, and Kris Kristofferson.